When we began construction of the first phase of Cottage Grove in Bryan, Texas, a few years ago, we had a master plan in mind, of course. But, as with any community, it evolves with each new home and the residents who move in. The neighborhood has exceeded our expectations, and has become a warm, welcoming community that blends young and old, singles, couples, and families alike. We’re about to launch the third and final phase of Cottage Grove, a Stylecraft Builders master planned community. The first two phases sold out quickly, resulting in 67 new homes. Starting at $110,000 for a new home with more than 1,000 square feet, Cottage Grove residences are cozy, affordable, and wonderfully situated. The community is close to historic downtown Bryan, as well as schools, parks, shopping, restaurants, and area attractions, including Texas A&M. 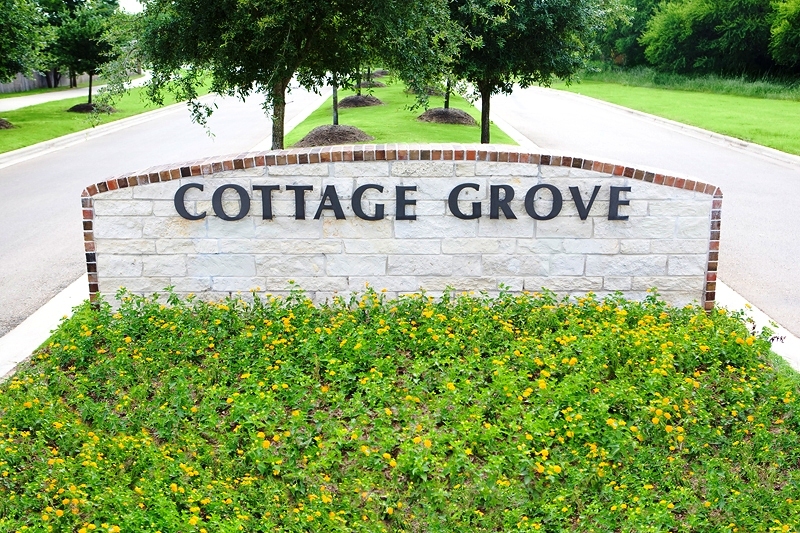 Although close to everything, Cottage Grove is a quiet haven, thanks to the site plan and landscaping, which includes plenty of trees and greenbelts. You can enjoy the convenience of easy access without being in the midst of the activity. The homes in Phase Three represent our Neo Traditional Select Series of homestyles. The designs feature front porches, craftsman columns, stone or brick detail, cemplank siding, shutters, and dormers. There are still homesites available in Phase Three, and you can customize the details for your new home here. Contact us to learn more about Cottage Grove and the new homes that will be added there in the near future. You are currently browsing the Stylecraftbuilders's Blog blog archives for April, 2011.